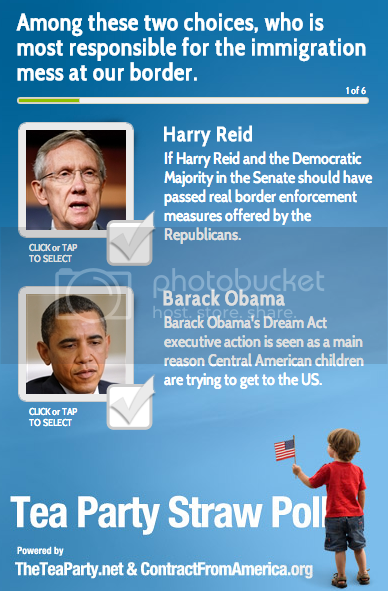 Calendar@: NEW POLL: Who's to blame for our immigration crisis? NEW POLL: Who's to blame for our immigration crisis? New Poll - Immigration: Who's To Blame? America's borders are broken and Congress seems content with kicking the can further down the road. Millions of illegal aliens, including numerous unaccompanied children have flooded into the United States over the past few years. This is a very dangerous road. Numerous fixes have been proposed but still, NOTHING has been done. So we at the Contract From America want to know: Who's to blame?! Take our new poll today and let us know!